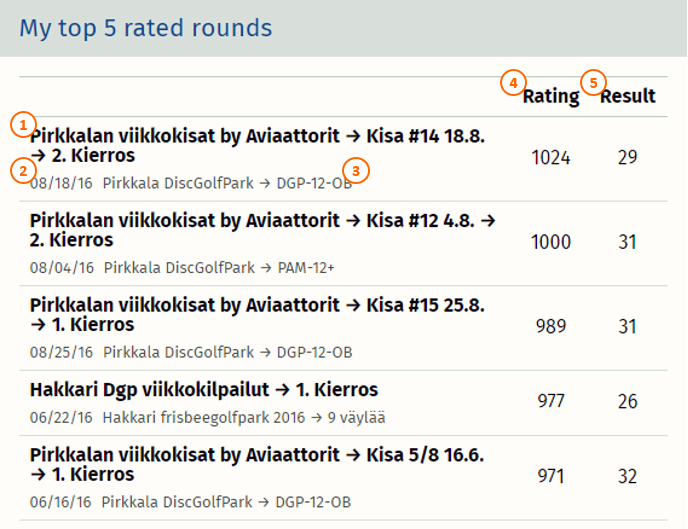 This element is listing the best competitions rounds you've played that included ratings. Actual result for that round. More details related to Metrix rating calculations can be found here.